Below is a selection of human rights related books which I have read and found deeply enlightening. When you click on the books covers you'll be redirected to Indiebound.org, a community of local independent bookstores. To learn more about Indiebound.org please visit this page. 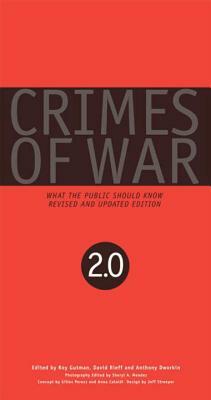 "CRIMES OF WAR: WHAT THE PUBLIC SHOULD KNOW"
I read "Crimes of war" in French when I was studying human rights and humanitarian law in Paris. This major book remains, in my opinion, the most comprehensive and complete work on war crimes and is, therefore, a must-read for whoever wants to get a better understanding of this topic. This book has been a huge eye opener for me and made me want to learn more about how the criminal justice system is deeply rooted in racial discrimination. Above all, it is a great book about America and the racial question that still needs to be truly addressed and solved. "The New Jim Crow is a stunning account of the rebirth of a caste-like system in the United States, one that has resulted in millions of African Americans locked behind bars and then relegated to a permanent second-class status—denied the very rights supposedly won in the Civil Rights Movement. Since its publication in 2010, the book has appeared on the New York Times bestseller list for more than a year; been dubbed the “secular bible of a new social movement” by numerous commentators, including Cornel West; and has led to consciousness-raising efforts in universities, churches, community centers, re-entry centers, and prisons nationwide. 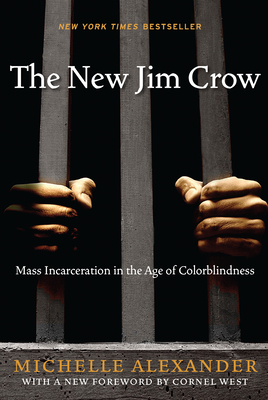 The New Jim Crow tells a truth our nation has been reluctant to face. Alexander shows that, by targeting black men through the War on Drugs and decimating communities of color, the U.S. criminal justice system functions as a contemporary system of racial control, even as it formally adheres to the principle of colorblindness. The New Jim Crow challenges the civil rights community—and all of us—to place mass incarceration at the forefront of a new movement for racial justice in America." Although this is a novel, I think it is a must-read if you are interested in child soldiers, a plague that still affects 300,000 children, according to Theirworld. 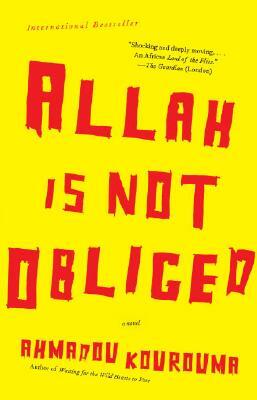 ​Ahmadou Kourouma is one of Africa's most celebrated writers; "Allah is not obliged" is his final book. It tells the story of Birahima, a boy from West Africa who is recruited as a child soldier during Liberia and Sierra Leone civil wars. "Initially seduced by the status and power of the child soldiers, their insouciance and bravado, Birahima soon rises to the envied position of mascot to the warlord Papa Le Bon. But after Papa is killed, a breakaway band of soldiers and children flee. Birahima finds himself, along with the other children, moving between one warring faction and another, each led by a distinctive, colourful, sometimes female leader. To each he offers his allegiance, the decision determined by who has the best rations and newest Kalashnikovs. The children are controlled with drugs, prayer and food - child soldiers are an army's most valuable and therefore best-fed commodity - but mostly by the simple fact that the militias are the only family that they have. For these fighters, with names like Tete Brulee and Captain Kid, who squabble and shoot each other and then burst into tears, all share the same goal as Birahima: to find their family; any family." 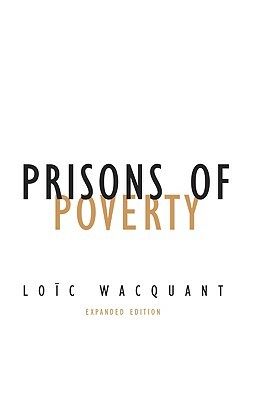 Loïc Wacquant is a French sociologist who collaborated with Pierre Bourdieu and developed an internationally recognized theory on how the U.S. repressive model expanded to other countries with perverse effects on the most disadvantaged social groups, including immigrants. I read this book in the early 2000s when I studied sociology and still consider it as one of the most compelling analysis in relation to the U.S. criminal justice system. ​"Prisons of Poverty combines the methodology and theoretical perspective of European critique with a detailed knowledge of American attitude and policy. The result is a powerful dissection and passionate indictment of mass incarceration." "INSIDE PRIVATE PRISONS. AN AMERICAN DILEMMA IN THE AGE OF MASS INCARCERATION"
As a French national, I was very surprised the first time I heard about prisons run by private companies. Prisons are indeed operated by the public sector in France, which helps to guarantee an equal treatment and the state's accountability in case of rights' violations. The perverse correlation between the number of incarcerated Americans (encouraged by the current criminal system) and the profits made by these private companies is probably the most shocking aspect of this phenomenon. This book, authored by the excellent Lauren-Brooke Eisen, is a MUST READ if you want to deepen your knowledge of mass incarceration. "When the tough-on-crime politics of the 1980s overcrowded state prisons, private companies saw potential profit in building and operating correctional facilities. Today more than a hundred thousand of the 1.5 million incarcerated Americans are held in private prisons in twenty-nine states and federal corrections. Private prisons are criticized for making money off mass incarceration—to the tune of $5 billion in annual revenue. 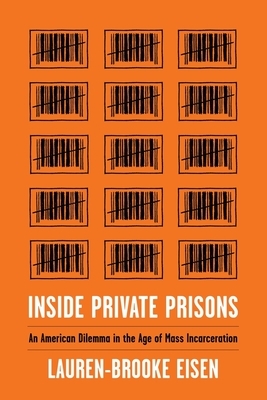 Based on Lauren-Brooke Eisen’s work as a prosecutor, journalist, and attorney at policy think tanks, Inside Private Prisons blends investigative reportage and quantitative and historical research to analyze privatized corrections in America. From divestment campaigns to boardrooms to private immigration-detention centers across the Southwest, Eisen examines private prisons through the eyes of inmates, their families, correctional staff, policymakers, activists, Immigration and Customs Enforcement employees, undocumented immigrants, and the executives of America’s largest private prison corporations. Private prisons have become ground zero in the anti-mass-incarceration movement. Universities have divested from these companies, political candidates hesitate to accept their campaign donations, and the Department of Justice tried to phase out its contracts with them. On the other side, impoverished rural towns often try to lure the for-profit prison industry to build facilities and create new jobs. Neither an endorsement or a demonization, Inside Private Prisons details the complicated and perverse incentives rooted in the industry, from mandatory bed occupancy to vested interests in mass incarceration. If private prisons are here to stay, how can we fix them? This book is a blueprint for policymakers to reform practices and for concerned citizens to understand our changing carceral landscape."